The University of Wisconsin System eCampus is your gateway to information about online degree programs and non-degree certificate programs offered across the 26 campuses of the UW System. It is a comprehensive portal, enabling you to search for programs, learn about those programs and easily locate advisors, an application, or registration information. Academic programs listed on this site are offered through one or more of the campuses with the University of Wisconsin System. Pursuant to Wis. Stats. Ch. 39.85, et. al, the State of Wisconsin is a member of the State Authorization Reciprocity Agreement (SARA) through the Midwestern Higher Education Compact which regulates the manner in which participating institutions may offer distance learning education to students who reside in other states. 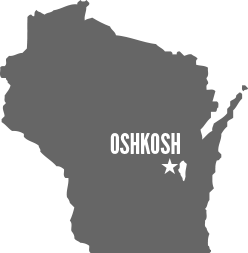 UW Oshkosh is a participating institution in SARA. The terms and conditions of SARA can be found on the SARA Policies and Standards website. At this time, 48 of the 50 U.S. states are SARA members. The remaining two non-SARA states of California and Massachusetts do not regulate online distance education programs; therefore UW Oshkosh is authorized to offer distance education programs to residents in all 50 states. Important Notice to Students: If you are considering an online academic program that leads to a professional license, it is highly recommended that you contact the appropriate licensing agency where you plan to receive instruction before beginning your academic program. SARA does not provide reciprocity for state professional licensing requirements. Academic programs and individual graduates must meet standards set by each state’s licensure requirements in order for a graduate to be eligible for a license within that state. The SARA provision for this requirement can be found in section 3.a. on page 10 of the SARA Policies and Standards. The University of Wisconsin Oshkosh works to provide global access to its online degree programs. It is your responsibility to understand current circumstances or special requirements surrounding whether an online degree will be recognized in a country other than the United States, how the collection of student data may be used in another country, and whether withholding taxes (in addition to the price of tuition) will apply. Some countries may not formally recognize foreign online degrees, which may have implications for those who later seek to enroll in other educational programs, or for those who seek employment with that country's government or other employers requiring specific credentials. International students considering an academic program that leads to a professional license should first confirm with the appropriate professional licensing board in your country of residence or the country where you intend to work as to whether a UW Oshkosh online degree will be recognized when seeking licensure or certification. Policies and procedures for filing both academic and non-academic complaints, including for bias or sexual harassment, can be found on the UW Oshkosh Student Handbook website. Under UWSA policies and procedures, an individual should utilize the institution's internal complaint or review policies and procedures prior to contacting the UWSA. If a resolution is not reached at the institution level, or if you believe that the nature of the complaint or its impact on the system as a whole warrants an immediate review by the University of Wisconsin System Administration, you may file a formal complaint by completing and submitting the UW System complaint form. If you have questions about this policy, contact the University of Wisconsin System Administration directly via the Office of Academic, Faculty and Global Programs (AFGP), afgp@uwsa.edu or call 608.262.5862. The UWSA complaint process is available on the UW System Student Complaints web page. Students who reside outside the state of Wisconsin but are enrolled in a distance education program at UW Oshkosh may also file a complaint with Wisconsin’s Distance Learning Authorization Board (DLAB). Again, students are encouraged utilize the university’s internal complaint or review policies and procedures prior to filing a complaint with DLAB.